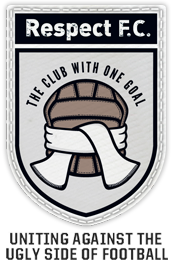 When we talk about legends at football clubs we usually mean players who have been an important part of the club�s history, so surely no one group of players has earned that right more than the famous team which is now part of Linnet�s folklore which took on the existing cup � holders Preston North End at Canal Street on 7th January 1939 and in that team was the one man who more than any other in the history of this club since 1918 has earned the right to be the all � time Linnets Legend, Jack Search. The amazing thing about Jack Search is that he has become a Legend even to those who never saw him play. As with all folklore it is by word of mouth over the generations that Search received this status. 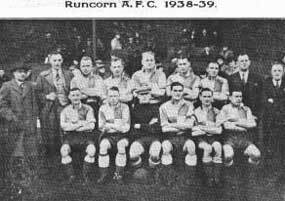 As a youngster growing up in Runcorn I soon became hooked on the Linnets in the early 1950s and it was not long before my dad was telling me about this giant of a centre forward we used to have, who seemed to score goals for fun. Jack was 6′ 4″ and a true amateur in every sense of the word. He remained an amateur throughout his career despite trials with Liverpool and a reputed offer from Arsenal of �7,000 for his signature which he turned down. I wonder how that fee would equate to today�s fees? I am fortunate in my autograph collection to have the autograph of one of Jack�s Cheshire league contemporaries in Don Spendlove, who used to play for Rhyl, and between them they scored over 1,000 Cheshire League goals! It was his reputation for sportsmanship which seemed to earn Search so much praise, as well as his goal scoring prowess. His heading ability made him a feared striker throughout the non � league world.What a shame that the war years interrupted his playing career. We will never know just how many goals he might have scored! 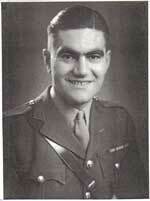 Jack served his country in North Africa as a lieutenant � colonel but did resume his career after the war for a while. Because he had remained as an amateur Jack also worked and was employed as a salesman by the Liverpool Gas Company. After his playing career was over, he became a Director for many years at Everton Football Club and at that time renewed his acquaintance with Bill Shankly, and they became good friends. I hasten to add that they were presented in no kind of order of merit but it would be nice to have feed back from fans as to who you think have been the greatest Linnets Legends. I hope you have enjoyed reading the series, I have certainly enjoyed compiling it.